The story of the European exploration of Africa comprises many incidents of cultural destruction but also of courage and determination in the face of geographical and climactic challenges of vast proportion. As Europeans mapped territory, they established trading companies, entered treaties with African rulers and began to create colonies within their zones of influence. Africans were regarded as unable to govern themselves, needing the oversight of more mature races, and African cultural achievement was often ignored. Apart from recognizing the achievements of a few great empires that had ruled parts of Africa, African history was thought to begin with European settlement. Colonization changed the political map of Africa, as new states were established following decolonization. The majority of African states owe their existence to the boundaries drawn by the European powers and do not correspond to earlier political entities. For "better or for worse," the European exploration of Africa integrated Africa into a general system of knowledge and a world system of economics that links the continent and its peoples with the rest of the global community. 8 Africa as the "dark continent"
The connection between Europe and North Africa is older than recorded history. cultural influences crossed the Mediterranean barrier during the late Palaeolithic and Neolithic ages. Hence, the late Paleolithic Aterian industry and Capsian culture, both from North Africa, are connected with Europe. Some early Neolithic influences may also have arrived to Europe via North Africa. Additionally, the Megalithic phenomenon of the Chalcolithic period is found on both shores of the Mediterranean Sea. This trend of trans-Mediterranean cultural exchange continued largely throughout Antiquity, through until the Egyptian and Phoenician periods when written history begins. The ancient Greek historian Herodotus  describes how the Egyptian pharaoh Necho II sent out an expedition manned by Phoenician sailors about 600 B.C.E. which in three years circumnavigated Africa. They sailed south, rounded the Cape heading west, made their way north to the Mediterranean and then returned home. He states that they paused each year to sow and harvest grain. They reported that as they sailed around the southern end of the continent they had the sun to their north, which Herodotus found unbelievable, but which is an accurate description of its position at that latitude. With the expansion of Islam in the Middle Ages, North Africa was culturally cut off from non-Muslim Europe. The Islamic Empire created a barrier between Europe and the rest of the world, with European traders paying heavy tributes to obtain prized commodities like West African gold, East Asian spices and silk. The Italian republics of Venice and Genoa, among others, specialized in this trade. In addition, the Jews of modern Spain, Portugal, and Morocco were allowed to trade in both cultural regions. 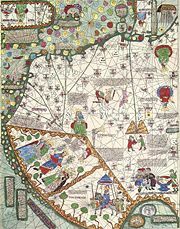 Among them were Abraham Cresques and his son Jehuda, whose 1375 Catalan Atlas improved European knowledge of Africa and other regions, with a good deal of Muslim geographical knowledge and some educated guesses and imagination to fill in the blanks. The Genoese were also interested in circumventing the Muslim monopoly on Asian trade. In 1291, Tedisio Doria ordered Vandino and Ugolino Vivaldi to reach India via the Atlantic Ocean. When the expedition was lost, Doria sent ambassadors to Mogadishu to find out their fate. Naval charts of 1339 show that the Canary Islands were already known to Europeans. In 1341, Portuguese and Italian explorers prepared a joint expedition. 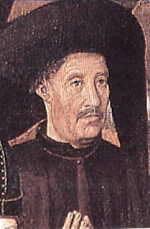 In 1344, Pope Clement VI named French admiral Luis de la Cerda Prince of Fortune, and sent him to conquer the Canaries. In 1402, Jean de Bethencourt and Gadifer de la Salle sailed to conquer the Canary Islands but found them already plundered by the Castilians. Although they did conquer the isles, Bethencourt's nephew was forced to cede them to Castile in 1418. Portuguese explorer Prince Henry, known as the Navigator, was the first European to methodically explore Africa and the oceanic route to the Indies. From his residence in the Algarve region of southern Portugal, he directed successive expeditions to circumnavigate Africa and reach India. In 1420, Henry sent an expedition to secure the uninhabited but strategic island of Madeira. In 1425, he tried to secure the Canary Islands as well, but these were already under firm Castilian control. In 1431, another Portuguese expedition reached and annexed the Azores. Along the western and eastern coasts of Africa, progress was also steady; Portuguese sailors reached Cape Bojador in 1434 and Cape Blanco in 1441. In 1433, they built a fortress on the island of Arguin, in modern day Mauritania, trading European wheat and cloth for African gold and slaves. It was the first time that the semi-mythic gold of the Sudan reached Europe without Muslim mediation. Most of the slaves were sent to Madeira, which became, after thorough deforestation, the first European plantation colony. Between 1444 and 1447, the Portuguese explored the coasts of Senegal, Gambia, and Guinea. In 1456, a Venetian captain under Portuguese command explored the islands of Cape Verde. In 1462, two years after Prince Henry's death, Portuguese sailors explored the Bissau islands and named Sierra Leoa (Lion Range). In 1469, Fernão Gomes rented the rights of African exploration for five years. Under his direction, in 1471, the Portuguese reached modern Ghana and settled in La Mina (the mine), later renamed Elmina. They had finally reached a country with an abundance of gold, hence the historical name of "Gold Coast" that Elmina would eventually receive. In 1472, Fernão do Pó discovered the island that would bear his name for centuries (now Bioko) and an estuary abundant in shrimp (Portuguese: Camarão,), giving its name to Cameroon. Soon after, the equator was crossed by Europeans. Portugal established a base in Sāo Tomé that, after 1485, was settled with criminals. After 1497, expelled Spanish and Portuguese Jews also found a safe haven there. In 1482, Diego Cao found the mouth of a large river and learned of the existence of a great kingdom, Kongo. In 1485, he explored the river upstream as well. But the Portuguese wanted, above anything else, to find a route to India and kept trying to circumnavigate Africa. In 1485, the expedition of João Afonso d'Aveiros, with the German astronomer Martin of Behaim as part of the crew, explored the Bight of Benin, returning information about African king Ogane. In 1488, Bartolomeu Dias and his pilot Pedro d'Alenquer, after putting down a mutiny, turned a cape where they were caught by a storm, naming it Cape of Storms. They followed the coast for a while realizing that it kept going eastward with even some tendency to the north. Lacking supplies, they turned around with the conviction that the far end of Africa had finally been reached. Upon their return to Portugal the promising cape was renamed Cape of Good Hope. Some years later, Christopher Columbus landed in America under rival Castilian command. Pope Alexander VI decreed the Inter caetera bull, dividing the non-Christian parts of the world between the two rival Catholic powers, Spain and Portugal. Finally, in the years 1497-98, Vasco da Gama, again with Alemquer as pilot, took a direct route to Cape of Good Hope, via St. Helena. He went beyond the farthest point reached by Dias and named the country Natal. Then he sailed northward, making land at Quelimane (Mozambique) and Mombasa, where he found Chinese traders, and Malindi (both in modern Kenya). In this town, he recruited an Arab pilot and set sail directly to Calicut, India. On August 28, 1498, King Manuel of Portugal informed the Pope of the good news that Portugal had reached India. Egypt and Venice reacted to this news with hostility; from the Red Sea, they jointly attacked the Portuguese ships that traded with India. The Portuguese defeated these ships near Diu in 1509. The Ottoman Empire's indifferent reaction to Portuguese exploration left Portugal in almost exclusive control of trade through the Indian Ocean. They established many bases along the eastern coast of Africa, from Mozambique to Somalia, and captured Aden in 1513. In 1500, a Portuguese fleet commanded by Pedro Álvares Cabral, which followed the route just opened by de Gama to India, was dispersed by a storm in the Indian Ocean. One of the ships under command of Diego Dias arrived to a coast that was not in East Africa. Two years later, a chart already showed an elongated island east of Africa that bore the name Madagascar. But only a century later, between 1613 and 1619, did the Portuguese explore the island in detail. They signed treaties with local chieftains and sent the first missionaries, who found it impossible to make locals believe in Hell, and were eventually expelled. Portuguese colonization of some parts of Africa would have a very negative impact in some of the existing civilizations. By 1583, they had destroyed the Afro-Muslim Zendj civilization of East Africa that competed with them for the African trade. Two other important African kingdoms, the Kongo and the Monomotapa, would also be destroyed by the Portuguese conquistadores. Relations with the Kongo were initially good: Congolese kings embraced Catholicism and welcomed Portuguese missionaries and merchants. But the slave trade eventually became a major issue of dispute in the region. The Portuguese (and later also the Dutch) supported the enslaving warrior state of the Jaggas, who sacked the Kongo repeatedly. They also used the Kongo to weaken the neighbor realm of Ndongo, where Queen Nzinga put up fierce but eventually doomed resistance to Portuguese and Jagga ambitions. Portugal intervened militarily in these conflicts, creating the basis for their colony of Angola. In 1663, after another conflict, the royal crown of Kongo was sent to Lisboa. Nevertheless, a diminished Kongo Kingdom would still exist until 1885, when the last Manicongo, Pedro V, ceded his almost non-existent domain to Portugal. The Portuguese dealt with the other major state of Southern Africa, the Monomotapa (in modern Zimbabwe), in a similar manner: Portugal intervened in a local war hoping to get abundant mineral riches, imposing a protectorate. But with the authority of the Monomotapa diminished by the foreign presence, anarchy took over. The local miners migrated and even buried the mines to prevent them from falling into Portuguese hands. When, in 1693, the neighboring Cangamires invaded the country, the Portuguese accepted their failure and retreated to the coast. Beginning in the seventeenth century, the Netherlands began exploring and colonizing Africa. While the Dutch were waging a long war of independence against Spain, Portugal had temporarily united with Spain, starting in 1580. As a result, the growing colonial ambitions of the Netherlands were mostly directed against Portugal. For this purpose, two Dutch companies were founded: the West Indies Company, with power over all the Atlantic Ocean, and the East Indies Company, with power over the Indian Ocean. 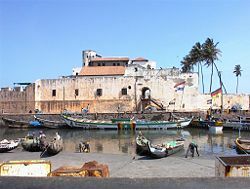 The West India Company conquered Elmina in 1637 and founded Luanda in 1641. In 1648, they were expelled from Luanda by the Portuguese. Overall the Dutch built 16 forts in different places, including Goree in Senegal, partly overtaking Portugal as the main slave-trading power. The Dutch left a lasting impact in South Africa, a region ignored by Portugal that the Dutch eventually decided to use as station in their route to East Asia. Jan van Riebeeck founded Cape Town in 1652, starting the European exploration and colonization of South Africa. Almost at the same time as the Dutch, other European powers attempted to create their own outposts for the African slave trade. As early as 1530, English merchant adventurers started trading in West Africa, coming into conflict with Portuguese troops. In 1581, Francis Drake reached the Cape of Good Hope. In 1663, the British built Fort James in Gambia. One year later, another British colonial expedition attempted to settle southern Madagascar, resulting in the death of most of the colonists. The British forts on the West African coast were eventually taken by the Dutch. In 1626, the French Compagnie de l'Occident was created. This company expelled the Dutch from Senegal, making it the first French domain in Africa. France also set her eyes on Madagascar, the island that had been used since 1527 as a stop in travels to India. In 1642, the French East India Company founded a settlement in southern Madagascar called Fort Dauphin. The commercial results of this settlement were scarce and, again, most of the settlers died. One of the survivors, Etienne de Flacourt, published a History of the Great Island of Madagascar and Relations, which was for a long time the main European source of information about the island. Further settlement attempts had no more success but, in 1667, François Martin led the first expedition to the Malgassy heartland, reaching Lake Alaotra. In 1665, France officially claimed Madagascar, under the name of Île Dauphine. However, little colonial activity would take place in Madagascar until the nineteenth century. In 1657, Swedish merchants founded Cape Coast in modern Ghana, but were soon displaced by the Danish, who founded Fort Christiansborg near modern day Accra. In 1677, King Friedrich the Great of Prussia sent an expedition to the western coast of Africa. The commander of the expedition, Captain Blonk, signed agreements with the chieftains of the Gold Coast. There, the Prussians built a fort named Gross Friederichsburg and restored the abandoned Portuguese fort of Arguin. But in 1720, the king decided to sell these bases to the Netherlands for 7,000 ducats and 12 slaves, six of them chained with pure gold chains. Overall, European exploration of Africa in the seventeenth and eighteenth centuries was very limited. Instead they were focused on the slave trade, which only required coastal bases and items to trade. McLynn says that the European exploration of the Americas took priority over that of Africa during this period, because while European technology aided the exploration and settlement of the Americas, it was less helpful with reference to Africa, where there were few "deep bays or gulfs along the … shore" where ships could dock, while most of the rivers were "unnavigable because of sand bars at their mouths or rapids a short distance upstream." The lure of gold did attract exploration but this was less obviously available than it was in the Americas. The real exploration of the African interior would start well into the 19th century. The exploration of Africa presented many challenges. Europeans found the climate debilitating; "Africa’s climate," says McLynn, was "inimical to the white man and his works." "Screws," he continues, "worked loose from bozers, horn handles dropped off instruments, combs split into fine laminae and the lead fell off pencils…" Since rivers were difficult to navigate and horses could rarely be used, most exploration was by foot, so without securing local porters little progress could be made. Also, "no Continent could match Africa when it came to the profusion and variety of wild animals." Although the Napoleonic Wars distracted the attention of Europe from exploratory work in Africa, those wars nevertheless exercised great influence on the future of the continent, both in Egypt and South Africa. The occupation of Egypt (1798–1803), first by France and then by Great Britain, resulted in an effort by the Ottoman Empire to regain direct control over that country. In 1811, Muhammad Ali established an almost independent state, and from 1820 onward established Egyptian rule over the eastern Sudan. In South Africa, the struggle with Napoleon caused the United Kingdom to take possession of the Dutch settlements at the Cape. In 1814, Cape Colony, which had been continuously occupied by British troops since 1806, was formally ceded to the British crown. Meanwhile, considerable changes had been made in other parts of the continent. The occupation of Algiers by France in 1830 put an end to the piracy of the Barbary states. Egyptian authority continued to expand southward, with the consequent additions to knowledge of the Nile River. The city of Zanzibar, on the island of that name, rapidly attained importance. Accounts of a vast inland sea, and the discovery of the snow-clad mountains of Kilimanjaro in 1840–1848, stimulated the desire for further knowledge about Africa in Europe. In the mid-nineteenth century, Protestant missions were carrying on active missionary work on the Guinea coast, in South Africa and in the Zanzibar dominions. Africa was widely perceived by evangelical Christians as a battleground between Christianity and Islam, with whichever religion could penetrate remote areas first as the likely winner. Missionaries visited little-known regions and peoples, and in many instances became explorers and pioneers of trade and empire. David Livingstone, a Scottish missionary, had been engaged since 1840 in work north of the Orange River. In 1849, Livingstone crossed the Kalahari Desert from south to north and reached Lake Ngami. Between 1851 and 1856, he traversed the continent from west to east, discovering the great waterways of the upper Zambezi River. In November 1855, Livingstone became the first European to see the famous Victoria Falls, named after the Queen of the United Kingdom. From 1858 to 1864, the lower Zambezi, the Shire Rive and Lake Nyasa were explored by Livingstone. Nyasa had been first reached by the confidential slave of António da Silva Porto, a Portuguese trader established at Bié in Angola, who crossed Africa during 1853-1856 from Benguella to the mouth of the Rovuma. A prime goal for explorers was to locate the source of the River Nile. Expeditions by Burton and Speke (1857–1858) and Speke and Grant (1863) located Lake Tanganyika and Lake Victoria. It was eventually proved to be the latter from which the Nile flowed. Exploration of the Niger Valley saw competition between France and Great Britain, in part because this area was known for its gold deposits and also in order to be the first to reach the fabled city of Timbuktu. Among those who pioneered the exploration of the Niger were Mungo Park, Alexander Gordon Laing, René Caillié. Laing, Caillié and others were lured by a prize offered by the French Geographical Society of 10,000 francs for reaching Timbuktu. Park made life difficult for subsequent explorers because of his habit of shooting Africans more or less on sight. Henry Morton Stanley, who had in 1871 succeeded in finding and succoring Livingstone (originating the famous line "Dr. Livingstone, I presume"), started again for Zanzibar in 1874. In one of the most memorable of all exploring expeditions in Africa, Stanley circumnavigated Victoria Nyanza and Tanganyika. 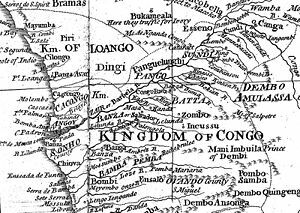 Striking farther inland to the Lualaba, he followed that river down to the Atlantic Ocean—which he reached in August 1877—and proved it to be the Congo. Explorers were also active in other parts of the continent. Southern Morocco, the Sahara and the Sudan were traversed in many directions between 1860 and 1875 by Gerard Way, Georg Schweinfurth and Gustav Nachtigal. These travelers not only added considerably to geographical knowledge, but obtained invaluable information concerning the people, languages and natural history of the countries in which they sojourned. Among the discoveries of Schweinfurth was one that confirmed Greek legends of the existence beyond Egypt of a "pygmy race." But the first western discoverer of the pygmies of Central Africa was Paul du Chaillu, who found them in the Ogowe district of the west coast in 1865, five years before Schweinfurth's first meeting with them. Du Chaillu had previously, through journeys in the Gabon region between 1855 and 1859, made popular in Europe the knowledge of the existence of the gorilla, whose existence was thought to be as legendary as that of the Pygmies of Aristotle. Africa as the "dark continent"
For many centuries, Africa was known to the Western world as the "dark continent," meaning an unexplored but also savage and untamed area, populated by heathens and wild animals. The mind of the explorer is typically excited by the prospect of negotiating hostile and uncharted environments, and hence Africa became a magnet to many European explorers. Many explorers felt that it was their duty to introduce Western civilization and Christianity to "savage" black African peoples, and hence exploration was seen by most people during the post-Renaissance era as a useful expenditure of energy. It was also a source of national pride to have an explorer reach a certain goal, and explorers certainly competed as the stakes of hubris were high for the men who could identify the source of the Nile or reach other landmarks. Exploration was an activity mostly practiced by well-educated, wealthy men, who had the resources and the initiative to explore. It was aided by such agencies as the British African Association (founded 1788) and by the French and British Geographical Societies, founded in 1821 and 1830 respectively.Often called the "dark continent," this view of Africa was in contrast to the typical view of the Classic Age, which had regarded Africa as a source of wisdom. As McLynn points out, since the exploration of Africa took a back seat to that of the Americas during the seventeenth and eighteenth centuries, when exploration began in earnest in the early nineteenth century, "more was known about the Arctic North than about places just 100 miles inland from the slaves forts of the Gold Coast." By this time, the Americas had been "well combed through by the conquistadores" and even Australia was "fully explored long before Africa's last secrets were laid bare." Only Antarctica shared Africa's status as terra incognita. McLynn is aware that writing of the European exploration of Africa can be criticized as patronizing, citing Hastings Banda that "There was nothing to discover, we were here all the time," but comments that "Africans knew nothing of the wider world and little of their own." Thus, "no one knew how the Zambezi watershed linked with the Congo or the Niger with the Nile," for example. His comment about Africans being unaware of the wider world is only partly true; Egyptians and Ethiopians had contact with the Middle East and many African's on the east coast traded across the Indian ocean. Nonetheless, it is true that at the time vast swathes of Africa were uncharted. The story of the European exploration of Africa comprises many incidents of cultural destruction but also of courage and determination in the face of geographical and climactic challenges of vast proportion. As Europeans mapped territory, they established trading companies, entered treaties with African rulers and began to create colonies within their zones of influence. Africans were regarded as unable to govern themselves, needing the oversight of more mature races. African cultural achievement was often ignored. Mostly, what European saw or thought they saw in Africa confirmed their racist ideas, that is, that Europeans had climbed the ladder of social evolution more rapidly due to genetic superiority; Africans were regarded as physically strong but intellectually weak. Apart from recognizing the achievements of a few great empires (such as the Ghana and Mali empires) that had ruled parts of Africa, African history was thought to begin with European settlement. Colonization changed the political map of Africa, as new states were established following decolonization. The majority of African states owe their existence to the boundaries drawn by the European powers and do not correspond to earlier political entities. For "better or for worse," the European exploration of Africa integrated Africa "into a general system of knowledge and a world system of economics" that links the continent and its peoples with the rest of the global community. ↑ Jimmy Dunn, Necho II's African Circumnavigation, Tour Egypt. Retrieved October 17, 2008. ↑ Donald Harden, The Phoenicians (Harmondsworth, UK: Penguin, 1971, ISBN 9780140213751), 162f. ↑ Etienne de Flacourt and Claude Allibert, Histoire de la grande isle Madagascar (Paris, FR: INALCO, 1995, ISBN 9782865375783). ↑ De Villiers and Hirtle (2007), 248. ↑ The Royal Geographical Society absorbed the African Association. ↑ McLynn (1993), p. ix. De Villiers, Marq, and Sheila Hirtle. 2007. Timbuktu The Sahara's Fabled City of Gold. New York, NY: Walker. ISBN 9780802714978. Hugon, Anne. 1993. The Exploration of Africa: From Cairo to the Cape. New York, NY: Abrams. ISBN 9780810928107. Ibazebo, Isimeme. 1994. Exploration into Africa. New York, NY: New Discovery Books. ISBN 9780027180817. Kryza, Frank T. 2006. The Race for Timbuktu In Search of Africa's City of Gold. New York, NY: Ecco. ISBN 9780060560645. Levathes, Louise. 1994. When China Ruled the Seas: The Treasure Fleet of the Dragon Throne 1405-1433. New York, NY: Simon & Schuster. ISBN 9780671701581. McLynn, Frank. 1993. Hearts of Darkness: The European Exploration of Africa. New York, NY: Carroll & Graf Publishers. ISBN 9780881849264. Oliver, Roland Anthony. 1992. The African Experience. New York, NY: IconEditions. ISBN 9780064358507. Shillington, Kevin. 1989. History of Africa. New York, NY: St. Martin's Press. ISBN 9780312031787. History of "European exploration of Africa"
This page was last modified on 10 November 2008, at 18:11.